Yakakutei’s main building, the Aikoto Wing, has standard guest rooms. The third floor of the Aikoto Wing offers a view of Sakurajima, a rare volcano that erupts frequently, and the first floor has the Sojun no Ma banquet hall, accommodating 90 guests for functions with family and friends, or wedding receptions. Simple, relaxing accommodations filled with the warmth of wood and tatami flooring. The guest rooms allow you to enjoy the charm of Yakakutei in a casual way. 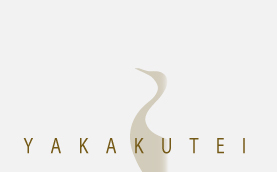 Stay at Yakakutei to enjoy a casual experience beyond the pressures of everyday life. We promise to turn your casual experience into a memorable stay. I’m putting the emphasis onan amenityat your room and a large indoor bath at Yakakutei. where “pleasure” was made a theme in Paris was established in 2004.
at Japan as well as Europe. It’s the feature thatthat it’s the gentle fragrance a lady and a man can accept. 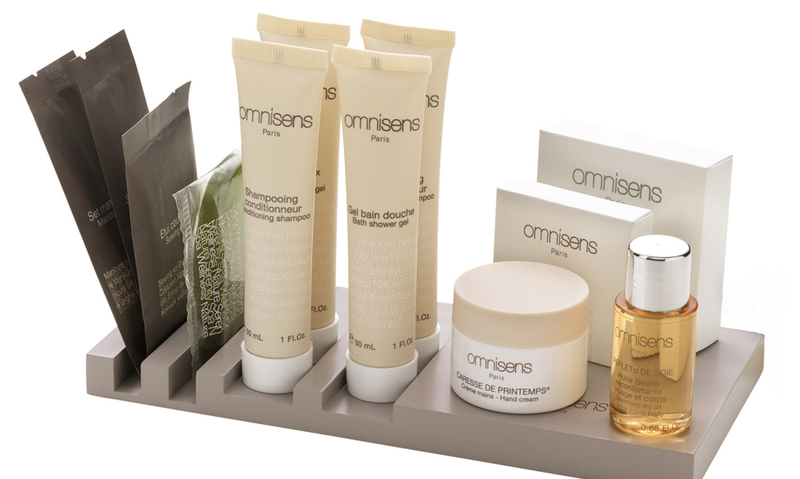 Omni Sanz is relaxing item which resorts to the five senses with the theme of “pleasure”. A concept is to protect skin from the foreign factor in the daily life while giving moisture to skin. Please enjoy rest by an amenity of a hot spring in Yakakutei and Omni Sanz. on cotton of a major component of Omni Sanz face care. More, water of a cornified layer of skin is kept using an ingredient of the cotton selected carefully. Flax of a major component of Omni Sanz body care arranges skin and gives softness and moisture. which gives tension and flexibility to skin. An indispensable fatty acid is included and attentive skin making is supported. Please be sure to contact us if you will be checking in later than the expected time. There is a separate 150 JPY bath admission fee for adults. If you require shuttle service, please be sure to contact us in advance with the time and place. For shuttle service from Kagoshima Airport, the pickup location is at Entrance 5. Please contact us in advance if you have any dietary restrictions or allergies. ※The established cancellation policy may vary depending on the accommodation plan or date.Please be sure to confirm the cancellation policy on the plan details page (next to the vacancy calendar) and on the reservation screen (during the booking step). The following fee will be charged for a no-show. ※Please be sure to confirm the no-show policy on the plan details page (next to the vacancy calendar) and on the reservation screen (during the booking step). ※The barrier free facilities and range of available services vary depending on the hotel.For your convenience and peace of mind, please contact the hotel directly to confirm in advance.